"One of the most extraordinary singers of her generation." "Tara Venditti offers a distinguished Carmen, scrupulously sung, and her sexual command is unerring." 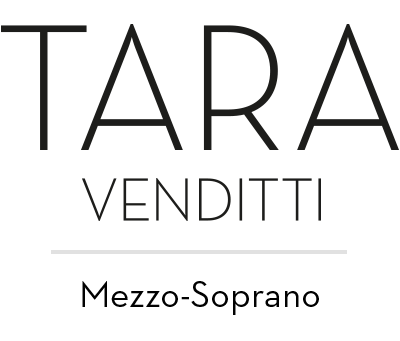 Tara Venditti is ideally cast as a Carmen who is dangerous and witchy, quick with a knife or to smash a plate for impromptu castanets. Tara Venditti (Carmen) sings with rounded richness and acts with electrifying sensuality. Tara Venditti gave an outstanding performance as a tremendously sensual but wicked Carmen. Her voice is a seductive one; smooth and used with masterly finesse. Her almost magical control over the men onstage was ever-present. Tara Venditti is a very fine Carmen: her singing was especially strong and confident, dark of timbre and radiant. This is not a 'diva' performance trying to impress in the arias, but a true singing actress with a genuine affinity for the style. Tara Venditti was incandescent as Carmen. She portrays a woman fully aware of her own sensuality and how to use it for personal gain; indeed she performs the jail scene to perfection. Tara Venditti’s Carmen is tougher and more streetwise than the usual exotic sweaty bosomed seductress…it’s a portrayal on a human scale. American mezzo-soprano TARA VENDITTI has been acclaimed on four continents as a “consummate singing actor” (Frankfurter Rundschau) in a wide-ranging repertoire spanning over four centuries’ worth of music. In the 2015-2016 season, Ms. Venditti made her Wuhan Philharmonic debut as CARMEN, a role with which she has become singularly identified in recent seasons, thus marking the first occasion that a Western opera has ever been performed in Wuhan. Ms. Venditti went on to make both her Parisian debut and Théâtre du Châtelet debut in France’s premiere of Sondheim’s PASSION, covering Natalie Dessay in the role of Fosca and performing the role of Fosca’s Mother. Future roles include Aldonza in MAN OF LA MANCHA for Portland Opera (US), her role debut as Isabella in L’ITALIANA IN ALGERI for Sarasota Opera and her debut as vocal soloist with New York City Ballet in RUSSIAN SEASONS, composed by Leonid Desyatnikov and conducted by Maestro Andrew Litton. In 2018, Ms. Venditti will make her debut with Hawaii Opera Theater in the role of Olga in EUGENE ONEGIN. Sought after for her “sultry voiced” (London Evening Standard) interpretation of the title-role CARMEN, a role Ms. Venditti has performed more than 100 times in productions with Opera Holland Park (London), Staatstheater Mainz, two separate productions at Staatstheater Darmstadt, Theater Bremen, Theater Freiburg, Theater Münster, Kentucky Opera and most recently with Florida Grand Opera. Ms. Venditti’s “incandescent” portrayals of this role have been hailed by audiences and critics alike in sold out-performances. In recent seasons, Ms. Venditti has made debuts with several major international opera houses and orchestras, including Teatro alla Scala as Frasquita (mezzo-version) CARMEN under the baton of Maestro Gustavo Dudamel, rejoining the maestro for an ensuing concert version of the opera in Caracas with the Simón Bolívar Orchestra; Royal Opera House Covent Garden in the title-role of Handel’s TAMERLANO with the Orchestra of the Age of Enlightenment under the baton of Maestro Ivor Bolton; Capella Cracoviensis (Krakow) under the baton of Maestro Alessandro De Marchi in the title role of Handel’s Solomon and Opéra-Théâtre de Metz as Ophélie in the world premiere of Pierre Thilloy’s LE JOUR DES MEURTRES. Other opera companies with which Ms. Venditti has appeared as a soloist include Opéra National de Lyon, New York City Opera, Glimmerglass Opera, Opera Memphis, Opera Birmingham, the Center for Contemporary Opera, American Music Theater Festival, Connecticut Grand Opera and Theater Bielefeld. At Staatstheater Nürnberg, Ms. Venditti’s roles have included Mère Marie DIALOGUES DES CARMÉLITES, Suzuki MADAMA BUTTERFLY, Hänsel HÄNSEL UND GRETEL, Lola CAVALLERIA RUSTICANA, Siebel FAUST, Aldonza MAN OF LA MANCHA, Rosina IL BARBIERE DI SIVIGLIA, Maddalena RIGOLETTO, Olga EUGENE ONEGIN, Orfeo ORFEO ED EURIDICE (Gluck), the title role in DIE GROSSHERZOGIN VON GEROLSTEIN and the roles of Flosshilde and Schwertleite DER RING DES NIBELUNGEN, conducted by Philippe Auguin. This production also toured to the Beijing Music Festival, where it was the first ever Ring Cycle performed in China, going on to earn a “Best of the Fest” award for the ensemble. A champion of 20th and 21st century repertoire, Ms. Venditti is a first choice among composers and new music organizations, having participated in premieres of numerous new works in New York (including New York City Opera’s CENTRAL PARK TRILOGY), Philadelphia, Green Bay, Memphis, Santa Fe, and most recently Staatstheater Darmstadt’s production of Luigi Nono’s epic work PROMETEO (July 2015). Ms. Venditti has proven herself a unique interpreter of the music of Kurt Weill. In 2015 she debuted with the ORF Radio Symphony Orchestra Vienna at the Wiener Konzerthaus with a compelling program of Weill’s “Radio Music”, including his cantata written for radio performance The Ballad of Magna Carta. She also bowed at the Israeli Opera Tel Aviv as Leocadja Begbick in AUFSTIEG UND FALL DER STADT MAHAGONNY, conducted by David Stern. In keeping with her great affinity for song and chamber music, Ms. Venditti and duo partner, pianist, Prof. Dr. Kristin Ditlow, performed three concerts entitled “Alive!” in 2016 featuring works of living composers, in Darmstadt, Germany and at Chatter Albuquerque, New Mexico. Ms. Venditti was a guest artist in residence for a week at the University of New Mexico for Lectures, Masterclasses and Private lessons for their Vocal and Composition Departments. Ms. Venditti’s unique interpretations of numerous new and traditional works within Opera, Concert, Musical Theater and Jazz venues leads her to stages from Brussels to Beijing. In 2005, Tara Venditti was the featured soloist in the bi-annual German TV show “SWING IT!” with the Thilo Wolf Big Band, which aired in it’s entirety on German Bayerischer Rundfunk Radio. An alumna of the prestigious Oberlin Conservatory (Dean’s Scholar) B.Mus., Manhattan School of Music (Merit Scholar) M. Mus., Ms. Venditti held the position of Associate Teacher of Singing for the University Conservatories of Nürnberg-Augsburg from 2006-2008, has taught private voice for the National Theater Workshop for the Handicapped and was named vocal /diction instructor for singers of the International Opera Studio Staatstheater Nürnberg from 2008 to 2008. Ms. Venditti has given masterclasses and private voice lessons at Monash University School of Music, the University of New Mexico music department, Camerata Barroco de Caracas, Venezuela, and continues to lead masterclasses worldwide for universities, opera companies and artistic agencies. 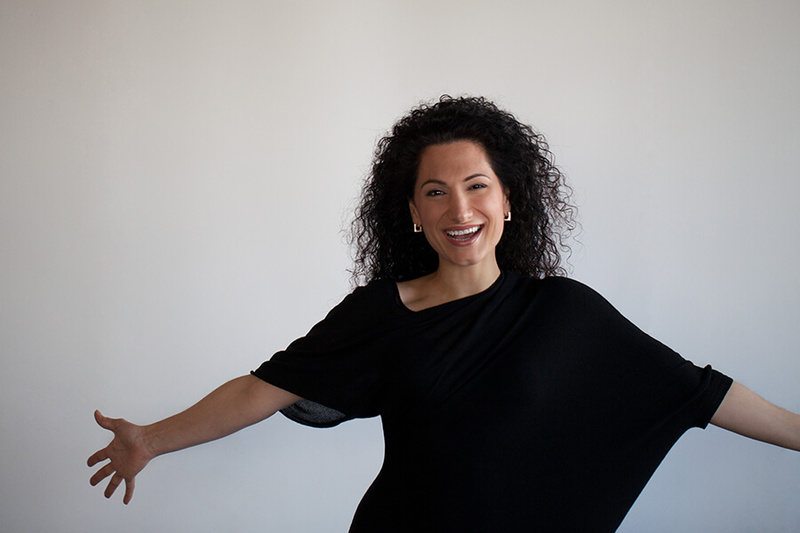 Ms. Venditti also maintains a successful private teaching studio of internationally working singers and is frequently a vocal consultant for Robert Gilder & Co. International Artists Management in London.